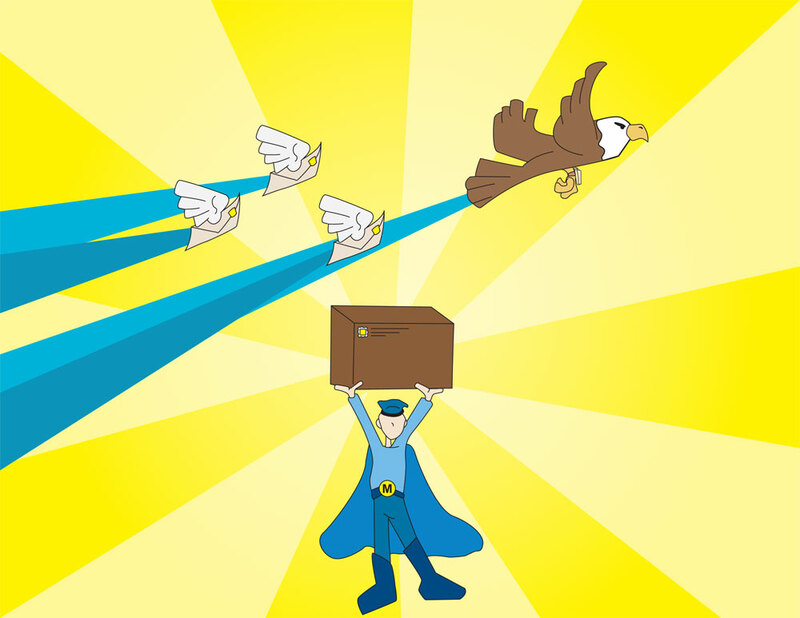 Picture of a mailman delivering a package with an eagle in the background created in Adobe Illustrator. I made this for Illustration Friday, this weeks topic was Mail. There is nothing better than getting a package in the mail you’ve been waiting for! What a cute mug! Our poor mail pesorn has to trudge and climb and shuffle during the snowy months, so I’m always so grateful that I get anything at all.